1. Acceptable forms of payment are: cash, certified check, cashier's check, 'bank' check, bank 'official' check or money order. 2. No 'third-party' checks or money orders will be accepted. 3. All checks and money orders should be made payable to the Judge of Probate. Except as provided herein, personal checks and business entities' checks must be drawn on a bank or credit union that has an office located in Houston County, Alabama. 4. The name and address of the individual or business entity submitting the check should be printed on the face of the check. No 'starter' or 'counter' checks will be accepted. 5. Persons and business entities with residences or offices not located in Houston County, Alabama may obtain advanced approval of the acceptance of their checks drawn on banks not located in Houston by completing and returning to the Probate Court the attached check information sheet. Upon confirmation of the information furnished, the Court may accept said checks. 6. 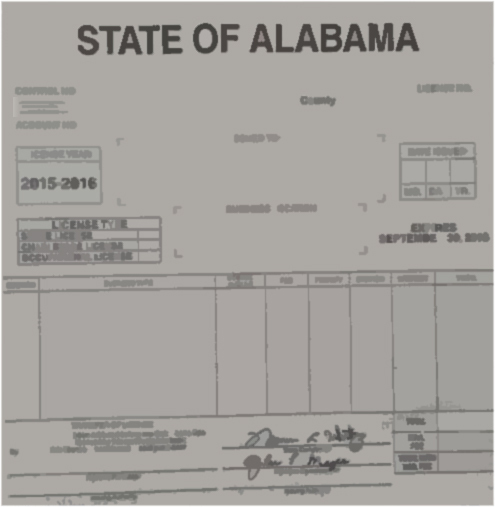 Checks from Alabama will be accepted subject to being removed for presenting a 'bad' check. 7. Persons offering a check for a document recording will be requested to furnish a current Alabama driver's license (or an Alabama non-driver identification card), date of birth, driver's license number and telephone number. Presenting a check which is returned to the Court for non-payment for any reason will result in the loss of the privilege of recording or purchasing documents by personal or business check. Reinstatement of such privileges must be pre-approved by the Judge of Probate and/or Chief Probate Clerk.